We have enjoyed the festive dancing. We learned that our friend Ella's family is Ukrainian. Morah Katie: Our friend Ella's family is from Ukraine. Thinking of friends, what do the children of Ukraine need to be strong and healthy and happy? Sroli: They should have sandwiches and shelter from the hot sun. Morah Katie: Are those things you need here in Vancouver Washington? We discussed that our community here in Vancouver gathers and shares tzedakah for a group of children in Ukraine who are in need of these very things. We watched a slide show of our Ukrainian friends. 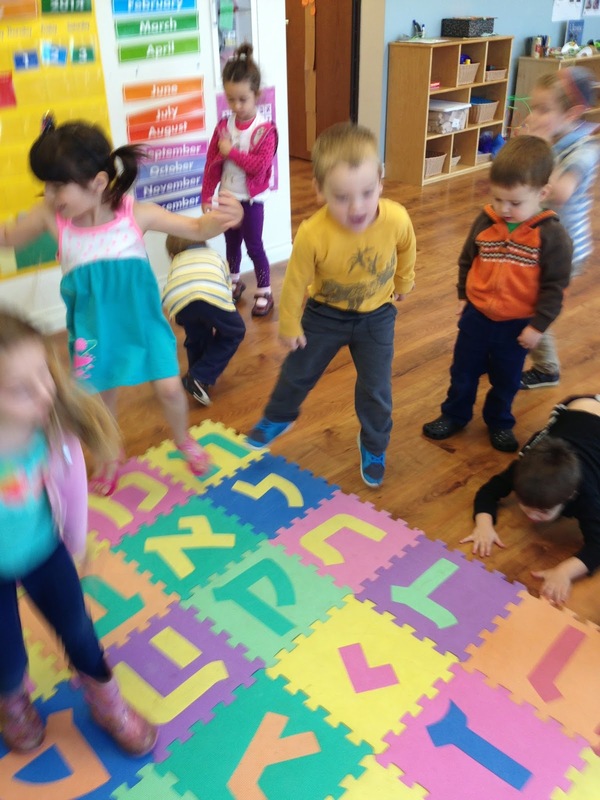 Efraim: They are making matzah! 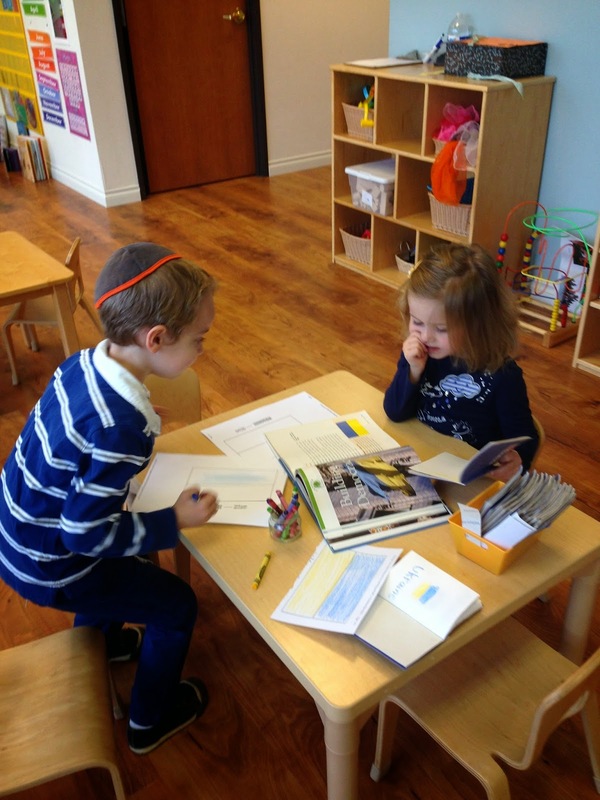 Sroli: They are making Hamantosh! Natan: They have are having a party. Gracie: She looks like my neighbor. Morah Katie: They are not very different are they? Morah Katie: Do you need what they need to be strong and healthy? 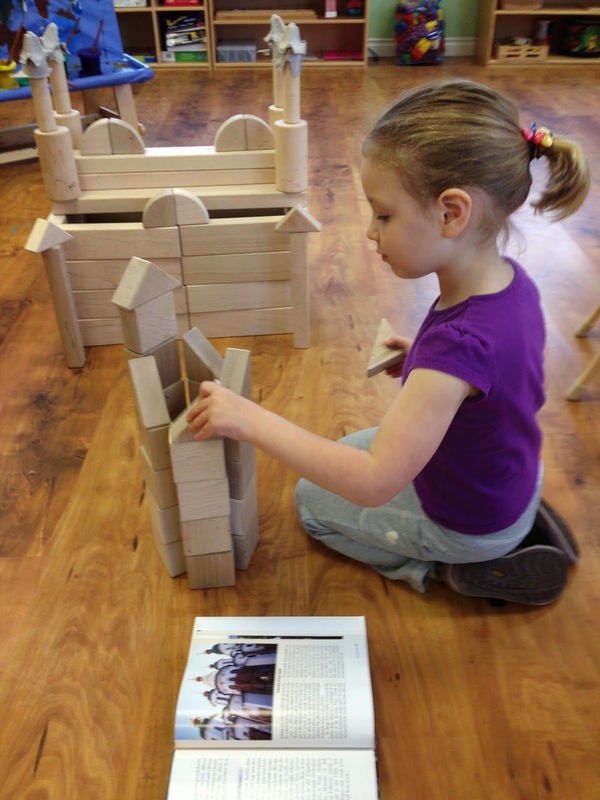 We enjoyed the fancy architecture and tried to recreate it in our classroom. We discovered that a unique and interesting flower called Edelweiss grows in Ukraine. Our trip to Ukraine was festive and joyful. Europe is an interesting continent. We have travel to 6 of 7 continents. Next week we will travel back across the ocean to North America, but we won't be coming home. We will be visiting Mexico and Canada! How are they different and similar to the United States?